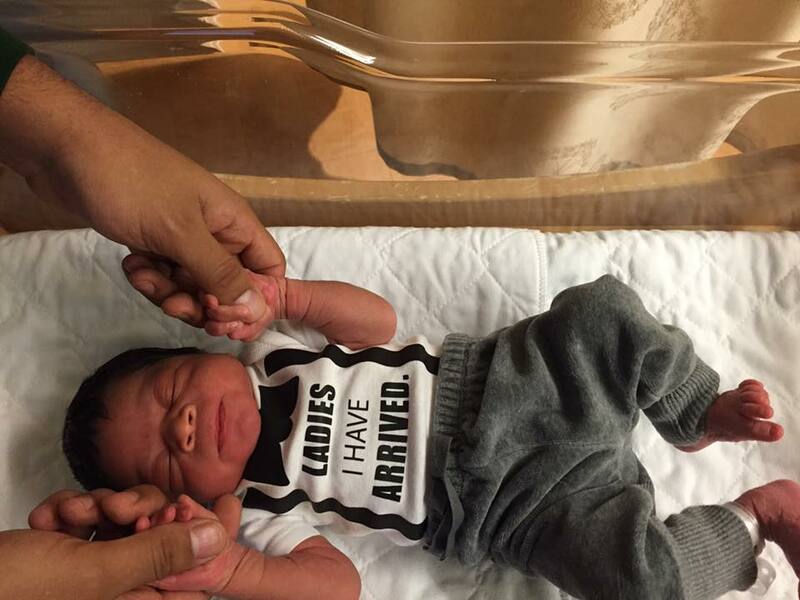 Since my baby is officially 6 months old I figured I would do a post about my 6 most memorable moments with him thus far! Around Christmas time my sister and I had gone shopping to buy a few gifts for our family and we decided to go to A.C Moore to pick up some frames because we thought it would be a cute idea to give out pictures of our kids. Well, during the trip we were walking around the frame isle and Asher starts to fuss and cry because it was time for him to eat.... he had also simultaneously had a huge blowout in his diaper. So naturally, being the new mother that I am, I start to panic because we were far from the food court or any restroom. Solution? Well, I decided to just park it where we were, the frame isle, and get this baby settled. I changed his diaper on the floor then and there since I had a changing pad on me, then I started shuffling through his diaper bag to make a bottle while he was still kicking and fussing. It was quite the experience hahaha. Luckily the store was slow and not packed that day so we basically had it all to ourselves. One of the store clerks heard the ruckus, came over and asked if she could take a picture to capture the moment. She could see that I was totally flustered but she said that one day I would look back at the picture and would appreciate it... I really am so glad that she did because I already do. It wasn't funny at the time but it still makes me laugh to think about it. I would always ask my mom, who is a Nurse, what it would be like when Asher had his first cold because I was so paranoid that I wouldn't know. I honestly would say "but HOW will I know?" and she would reply "trust me, you will know!" haha SHE WASN'T KIDDING! His first real cold was so scary! It lasted about a week and a half. A long week and a half of sleepless nights and constant trips to the doctors. They gave us a nebulizer machine for treatments every 6 hours because he was super wheezy. Then came the 102F fever and the middle of the night vomit sessions! One of the nights we went through so many outfit changes for the both of us I honestly just decided to stay up and make a slumber party out of the whole event! He didn't want to sleep anyways and I was too nervous to sleep while he was puking so much. We stayed up watching Doctor Who and called it a night! My favoriteeeeeeeeeeeeeeeee memory is of the first time I heard him laugh!! I was showering and left mister baby with my husband and when I came back he was just laughing up a storm! Stephen is literally the goofiest guy and Asher just thinks he's SO funny! No one else could get him to laugh, only Stephen could! That laugh made my heart so full, I thought it would BURST! I am just still so mad at myself because the storage on my phone was too full to capture any of it and i'll never let that goooooo. Shame on me, BUT it will forever be stored in my mommy archives! When Asher was 5 months old we took him on his first BIG trip! We went to Canada. He was a champ the whole ride, he basically slept the whole way and watched a few videos. Yes he did cry but only when he wanted to eat or when he pooped haha. It was a really LONG trip but he did amazing and we can't wait to go again! 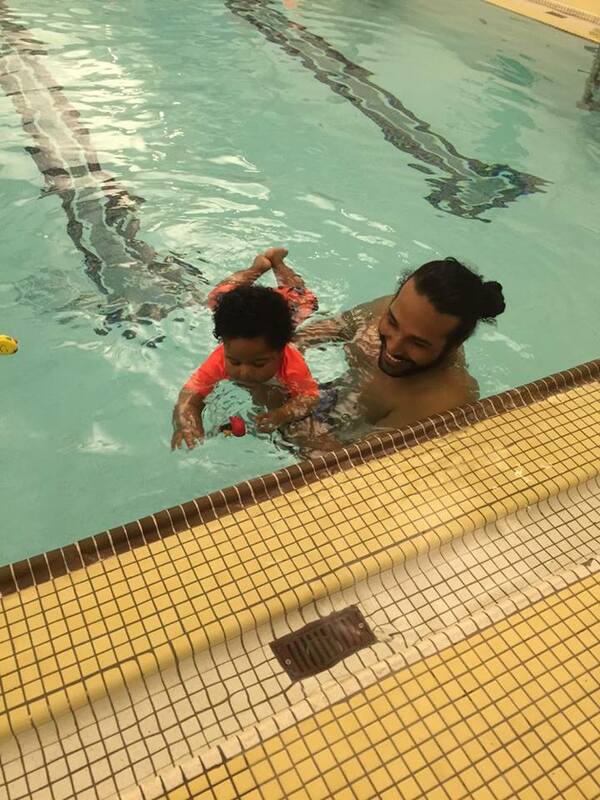 Asher has been going to swimming lessons and it is just the cutest thing ever! He really is such a natural. 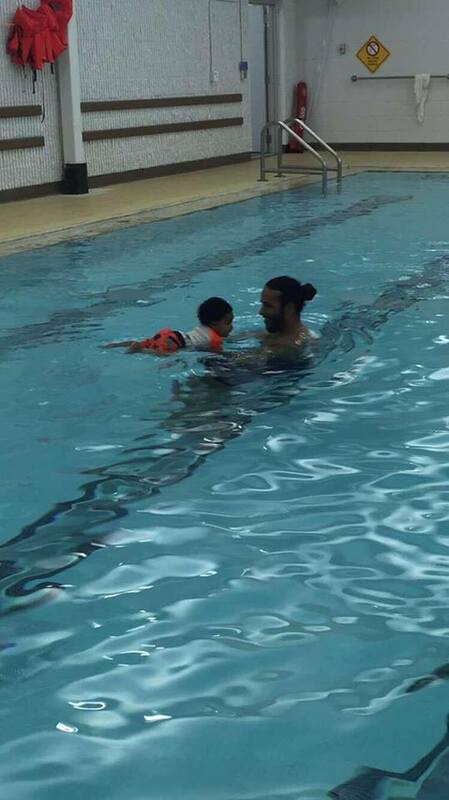 He is so calm by nature so seeing him in the pool is so fun. He just relaxes and enjoys his time in the water. 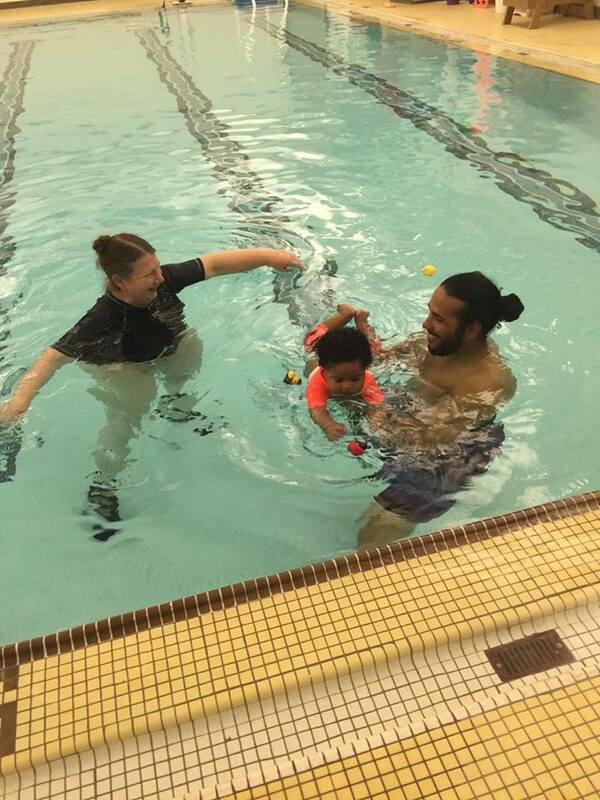 Stephen was in the pool with him for the first lesson and they were so so much fun to watch! Stephen is literally the goofiest and funniest guy around, I can't say that enough haha. It made my heart melt when I was watching those goofy guys play in the water. In the last pic Asher is so sad because he wasn't in the water anymore haha. We actually missed his second swim class so we went to the family pool for an hour and did the same swim lesson exercises and just played around with him in the water.